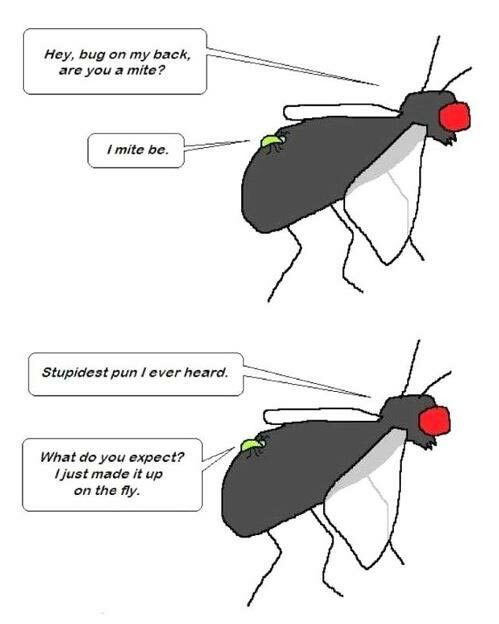 Hey, bug on my back, are you a mite? Stupidest pun I ever heard. What do you expect? I just made it up on the fly.